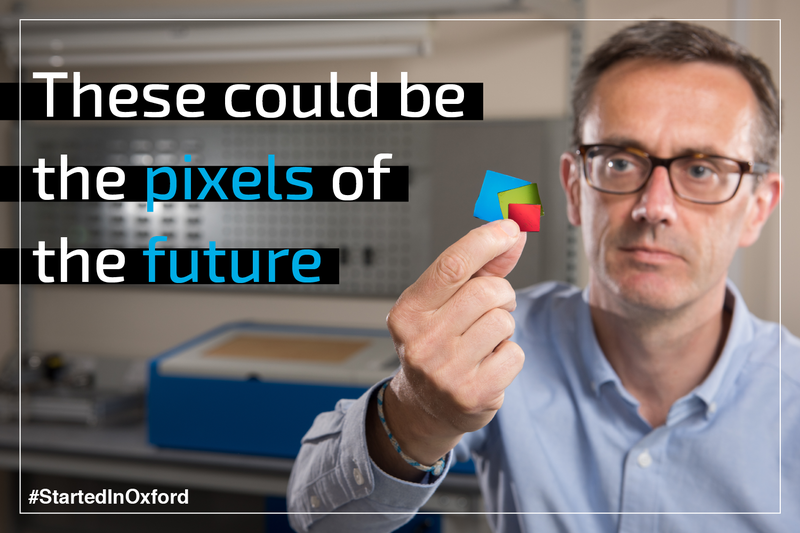 Oxford scientists at Bodle have pioneered just that – a smart material that is flexible, thin, and transparent. Layers of this material could be used as futuristic glazing, able to control which wavelengths of light enter a building. That would cut down on energy costs, as spaces could be cooled effectively without the need for aircon. Or it could replace pixels, by being used as bright and hi-tech displays – which could be viewed effortlessly, even in bright sunlight. What’s more, Bodle promises a revolution in battery-life. Your current smart-phone might struggle to make it through the day, but screens made with this smart material would use almost no power at all, meaning your phone would manage a week at least. The technology could even be used to create unfakeable holograms that could put a stop to counterfeiting! Not bad for something that looks like confetti!